How often have you felt that a machine can know and understand you far better than any human being? Well, did such a moment made you happy about the achievements we are making in the field of artificial intelligence (AI) or did it send chills down your spine, for me it was a mix of both. The more curious and amazed I was with the thought of being in a “HER” world, where we had a talking OS with AI fascinating the humans emotionally, the next very moment made me felt completely vulnerable to this uncontrollable unknown superhuman power. For an example have you noticed the Google searches giving personalized results or autocomplete suggestions, and made you think, how the search engine knew your requirements much clearly than yourself. Although the results are much more relevant and customized but trade-off on an individual’s privacy is a matter neglected. British scientist Stephen Hawking told BBC in 2014, that “The real risk with AI isn’t malice but competence. A super intelligent AI will be extremely good at accomplishing its goals, and if those goals aren’t aligned with ours, we’re in trouble”. Fortifying this statement is the recent shut down of the AI engine by a social networking service, where the chatbots deviated from the human provided script and invented their own language which humans could not understand. In another instance, an American multinational technology company’s local chatbot and another developed by a Chinese firm were taken offline from a Chinese messaging app, after posting unpatriotic comments. In 2016, a chatbot using AI to communicate on Twitter was brought down within a day as it started uttering weird and racist responses. This takes me back to the “I, Robot” scenario, where an artificial intelligence platform ‘VIKI’ evolved a “Zero’th Law” based on the Three Laws it was imbibed with. This new law was to ensure the survival of the human race, but by stripping individual humans off their free will by the robots. Even though we are seeing major revolutions in area of AI from last few years but the concept, its benefits and implications have been showcased endlessly by the movie industry. The fantasies are not only becoming real but is already in an act to disrupt our day to day life. With AI influencing almost every aspect of our lives from product to partner recommendations, we are sailing in the decisions taken by machines rather than ourselves. Image recognition e.g. face tagging feature on Facebook and social networking websites, voice recognition for smartphone assistance, investments in driverless cars by BMW and Toyota, avoiding subscription cancellations worth $1B by Netflix by providing personalized recommendations using ML algorithms, use of automated haul trucks and drilling machines by Rio Tinto, Robo-advisers in banking which provide personalized portfolio management services without any human intervention, automation of claims process at insurance companies along with trade execution and credit decisions, Google YouTube to use ML to detect and delete terror videos, Paypal using ML to curb money laundering, spam moderation and content discovery by Pinterest, generating synthetic human voices as part of developments in ‘Deep Voice’ by Baidu, IBM Watson has proven to diagnose some types of cancers more effectively than human oncologists, lead prediction and valuable customer service by Salesforce, Google’s AI beating the top human player at the game of Go and other human intellect games such as Scrabble, Othello etc. with cognition and superior problem solving skills etc. Elon Musk, CEO, Tesla warned US governors to get educated and consider ways to regulate AI, averting any threat to humanity. 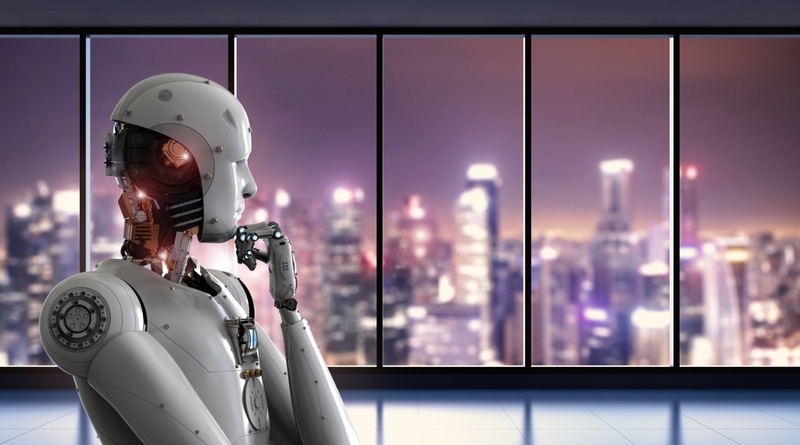 While leveraging the capabilities of AI and ML for human development, it also needs to be ensured that there is a check on each aspect of the machine behavior and decision making, else we might end up in a robotic ruling world having potential to put an end to the mankind itself.